506 Morris Blvd, Homewood, AL.| MLS# 840861 | Richard Jacks UABLIVING.com 205-910-2297 | Birmingham AL Real Estate | Contact us to request more information about our Homes for Sale in the Birmingham AL area. Location, location, LOCATION! 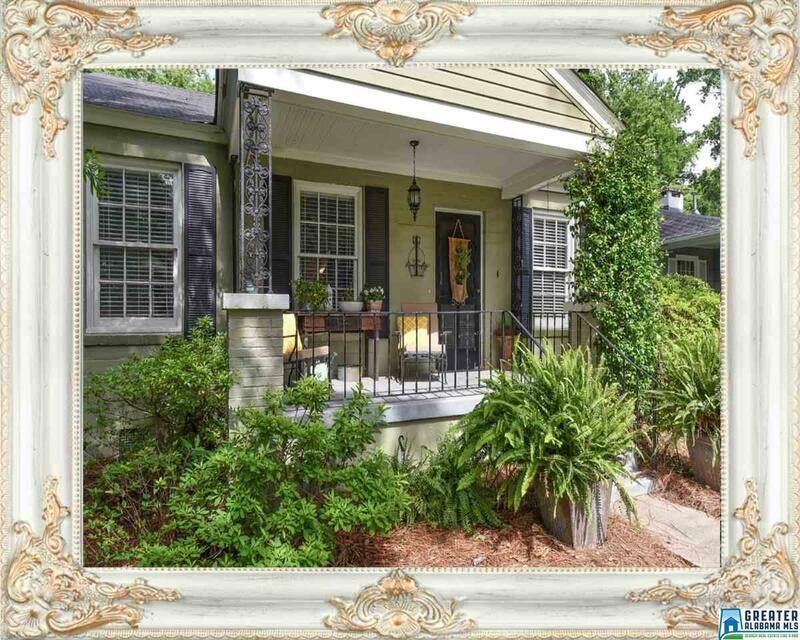 Over 1800 sq feet of ONE LEVEL LIVING on one of the PREMIER STREETS in the heart of EDGEWOOD! This CLASSIC HOMEWOOD BUNGALOW is where your heart&apos;ll be the minute the VINTAGE SCREEN DOOR shuts behind you. This CHARMING 3 bedroom/2 bath home is PERFECTLY LAID OUT for today&apos;s lifestyle. Living room, dining room, & kitchen are OPEN & CONNECTED, exactly right for family time and entertaining friends. Front secondary bedrooms are WELL PROPORTIONED with GREAT CLOSETS. OVERSIZE hall bath has original black & white tile. A MASTER SUITE ADDITION with HUGE WALK-IN CLOSET & big bathroom and laundry closet are tucked away in the back. French door leads out to PRIVATE DECK W/LIGHT STRUNG ARBOR. Alley access with ADDITIONAL PARKING PAD and DETACHED STORAGE BLDG, along with neat & tidy, FLAT BACKYARD which provides plenty of room for outdoor play or ADD ON POTENTIAL. While there are some repairs (deferred maintenance) to be done here, the COMPETITIVE PRICE reflects this. Driving Directions: From Broadway, Turn Into Morris Blvd And Follow Curve Around To The Right, House Will Be There On The Left.